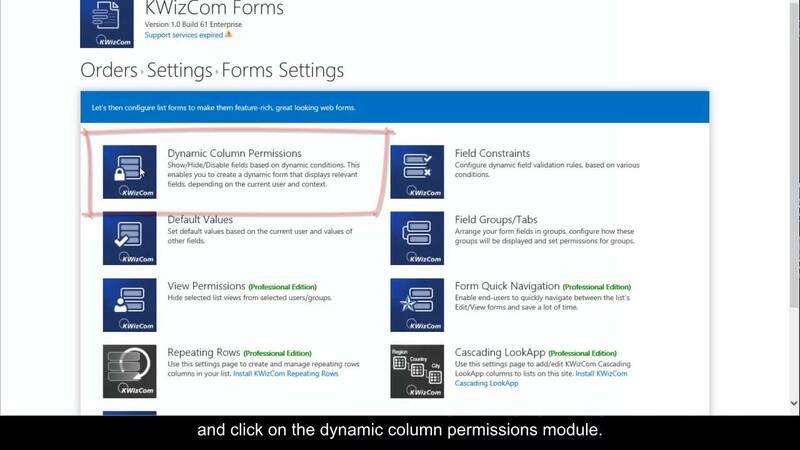 Dynamically show/hide/deactivate fields to create smart SharePoint forms! 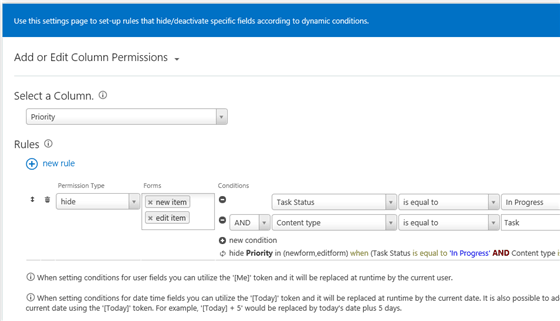 Control the visibility of specific list form fields in the New, Edit and View item forms. This app also allows you to hide views from the list views & to hide or disable columns in the Quick Edit view. Dynamically hiding/disabling fields is done by setting up logic rules. 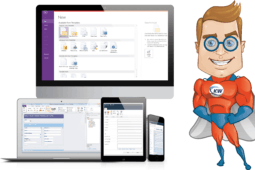 This way you can turn your SharePoint list forms into dynamic, smart forms that display only the relevant fields according to the current user and context. 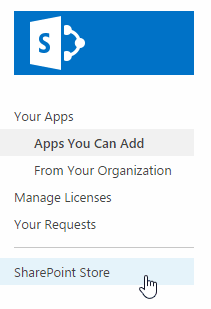 We all got used to working with SharePoint lists and document libraries. 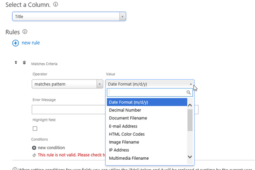 It is only natural to expect these list forms (New, Edit, View) to include all required web form features, instead of making us buy and learn a separate Forms technology such as InfoPath or any other external Forms services. The Column Permissions App is part of KWizCom Forms App, which allows SharePoint/O365 customers to keep using the well-known list forms by turning them into powerful & dynamic web forms. 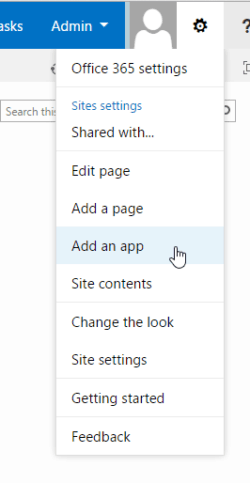 This way there’s no new technology to learn and deploy, simply keep using the same SharePoint list forms that now can include all the missing web form features. 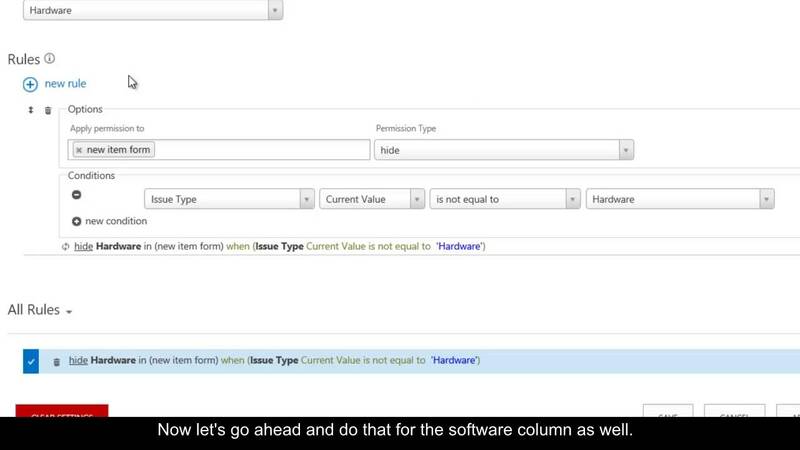 01 In this video you'll learn how to create dynamic forms where some fields are dynamically displayed, get hidden or become grayed depending on the current user and on logic conditions.